Uglyworld #498 - Wage At The Necropolis, originally uploaded by www.bazpics.com. With the weather turning much warmer in the late afternoon Wage decided he could enjoy the necropolis without need for his awesome college jacket. 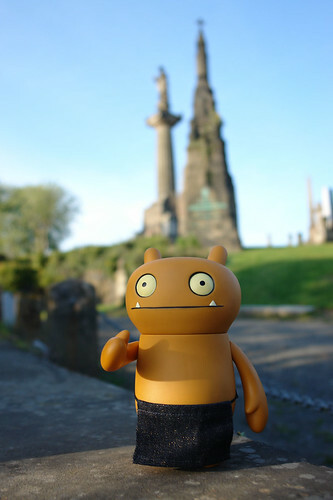 He said that he needed to get his picture taken beside the two tallest tombstones, as Babo would love to see the pic.